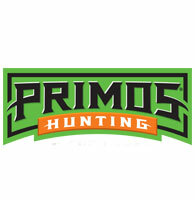 Ask any hunter who makes the best game calls and chances are you'll hear the name Primos. Many call companies specialize in making calls for one type of game species. Primos makes calls for every category of game species hunted in North America. Everything Primos does, they do exceptionally well. From a gleam in the eye of a young boy who was fascinated with calling in ducks, Primos Hunting Calls has grown into a major force in the hunting industry. Primos Hunting Calls manufactures calls for elk, deer, turkey, predator and waterfowl as well as clothing and accessories. They also produce the ever-popular video series The TRUTH and the television show Primos' TRUTH About Hunting. Each year new products are added to the line, and each year Primos maintains the hallmark that defines them: quality. For more information about Primos products visit www.primos.com.